Everyone has their own style, their own way of doing what they do. No matter their training, focus on authentic lineage or tradition, those who love what they do are often known for their unique way of doing it. The same goes for นวดไทย Nuad Thai, known in the west as Thai Bodywork, Thai Massage or Thai Yoga Massage. So why Thai Massage? Why wouldn't I just go to a Swedish, Deep Tissue, Rolfer, or Structural Alignment Therapist? Here I will briefly go over a bit of Nuad Thai, and what one can - generally - expect from a Thai Bodywork session. ​For more in-depth descriptions and understandings of Nuad Thai, please check out the ประวัตินวดไทย NUAD THAI HISTORY page. For a very basic and general overview of Thai Massage, read on! ​Grounded in the BuddhaDharma of Lord Gautama Buddha, the Thai Medical system views the body through the lens and scope of traditional medicine. It has been honed and passed on through the ages from generation to generation. The medical system prevalent at the time of Gautama Buddha was Ancient Indian Medicine, predating the modern version of Ayurveda we see today. This Buddhist based medical system is the foundation of what we see in Thai Medicine today, though it has been influenced by Southern Chinese, Khmer, Mon, and Indigenous Medicine traditions. Mistakenly, many believe that Thai Massage Theory comes from a blend of Ayurveda and Traditional Chinese Medicine. This is a common misconception, as Thai Medical Theory must be viewed through its own lens and not that of another modality, though similarities and connections exist. Whether it be for the physical, mental, emotional, or spiritual benefits it offers, it is one of the most versatile and profound modalities of physical therapy in the world today. Thai Massage uses a variety of techniques to access and realign the body into an optimal balance. From rubbing, kneading, squeezing, stretching, and beating to vibrating, rotating, rolling, and unwinding, the wide range of techniques applied to the body are varied depending on what the individual's needs are. Crucial to good therapy is the training and character of the therapist / masseur. Old-School training took years of cultivating both virtue and skill in order to become what is known in Thailand as a หมอนวด 'Maw Nuad', "Doctor of Massage". ​As the history of Nuad Thai is a difficult thing to track back 2,500 years to the time of ancient India when Lord Gautama Buddha walked this earth, today one can find many interpretations of Nuad Thai available. More information on this is available in the ประวัตินวดไทย NUAD THAI HISTORY page. The point is that there is a lot of confusion out there now as to "what" is Thai Massage. Because of this, there are many blends and splices of other bodywork modalities mixed in with the individual practitioner's version and understanding of 'Traditional' Thai Massage. This is what many people offer as a "Thai Massage" or even "Traditional Thai Massage" session. Thus it is important to 'separate the wheat from the chaff', find what suits you best, and know the difference. There is a reason to that number, as traditionally rates were tallied using numbers considered auspicious. That being said, and I emphasize, NO ONE WILL BE TURNED AWAY DUE TO LACK OF FUNDS. Can't be more clear than that! 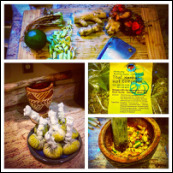 **NOTICE: Should you like to have a fresh, handmade herbal compress, it will be a $15 additional charge. Each compress can be used up to 3 times - <$5 / use - if frozen between uses. "I am a Thai Buddhist monk who has many massage therapy sessions from Joshua. His massage is very authentic. He spent a lot of time training himself with many masters in Thailand. He can be very gentle, yet powerful for those who like real therapy instead of just relaxation. Just tell him what's wrong with your body and where the pain is, he knows exactly how and where to fix it." "Josh is amazing. One of the most generous and intuitive bodyworkers I have ever met. It's an honor to call him a teacher, a friend and my primary caretaker! If you haven't ever had a Thai massage session he will set the bar quite high and give you an experience you will never forget." "As an older person, I have benefitted from Josh's experience and ability to communicate effectively regarding all of my issues. Having lived in Thailand for many years, he is by far the best Thai massage therapist I have had. Trust him with all of my aches ... gentle to firm touch and thoroughly knowledgable. Plus he speaks Thai!" "I had the opportunity to work with Joshua for my first Tai Bodywork session and it was extremely well worth it. He made me feel very comfortable by explaining the different intensities that Tai Bodywork can have and what to expect. He has such a gentile and calming personality and presence that made me feel welcomed and at home right away, even offering me water and hot tea. All of that allowed me to completely trust him and get the fullest and best out of the experience. I work as a retail manager on my feet most of the time while dealing with chronic pain issues. I have practiced (inconsistently at best) yoga, meditation and received other forms of "traditional" massage therapy. However, this experience has provided inspiration to explore using Tai and more deep tissue massage as a way to help alleviate my chronic pain. Even after just one session, I was able to feel immediate benefits. I would most definitely recommend Joshua to anyone interested in this healing experience." 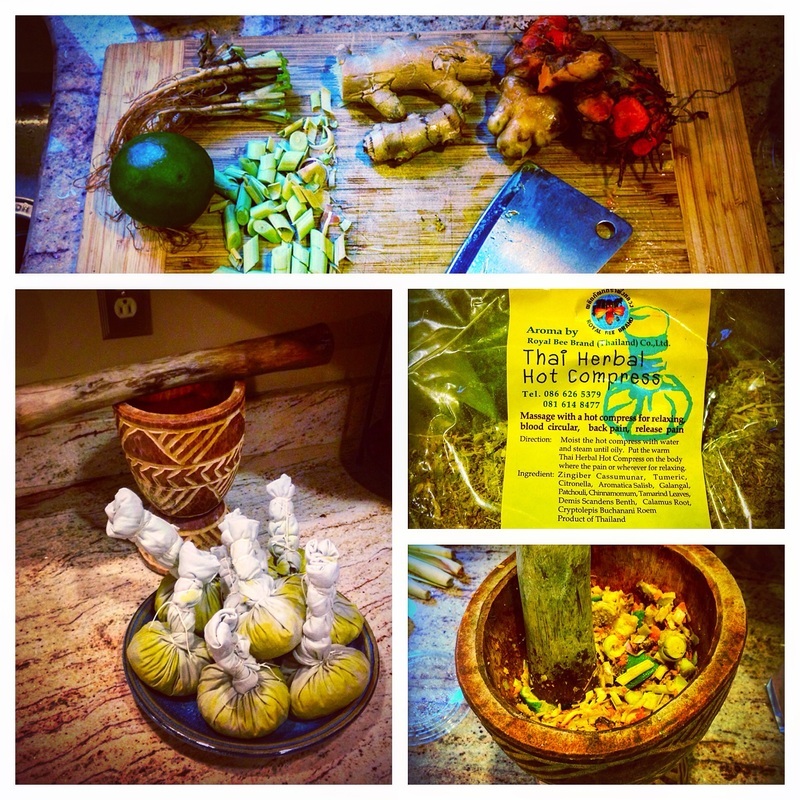 "Joshua is the best thai body worker I have ever had the honor of working with. His work is profound and with one session I felt a huge shift in my body. He is respectful, humble, and accommodating. I would recommend his work to anyone, and if you have the time it is well worth your investment. His understanding of anatomy and energetics is unmatched in the US and for him to be sharing his gift is an amazing gift to the receiver!" "Josh has the worldly training and knowledge to blow any other massage experience out of the water. His work is designed for people who are ready to HEAL. The relaxation you experience during and after the massage is due to the integration of the work itself into your body and spirit as it's done on a very deep level of both matter and mind! He's not only an expert in the craft but a friend who will help you achieve wellness on multiple levels." "I travel, over 40k miles/year in a car and 4 months on planes, teaching Acrobats, Slackline, and facilitating outdoor adventures worldwide. I don't have any down time as this is a lifestyle not a job. I have been to bodyworkers all over the world and Josh is in the top 3 of goto bodyworkers. Josh has always been able to fix me & give tips to stay that way, working with my lifestyle! I'm very thankful to have Josh in my life." "I have had the pleasure of getting three massage sessions with Josh. They have all been a delight. Whenever I met him, I seem to have something really wrong going on with my body. He is a master on finding exactly what it is and making it feel better instantly. I only wish I was closer to him much more often!" "The expertise that josh offers is unparalleled. He intunes the body's needs and works with great care and tenderness. The body work that I experienced was both restorative and relaxing. I highly recommend josh to all seeking a master body worker!" "I am a Swedish massage therapist by trade. Joshua has only given me one Thai massage so far but it was a profound experience that left my body much more relaxed and open, especially in my core. I opted for an intense session and Josh worked very deeply into my abdomen and psoas. His pressure was firm but was always delivered in a patient and compassionate way, the kind of touch that implies an intricate knowledge of the body and its functions while demonstrating a subtle understanding of the energy at work in the tightest areas, especially ones that may have been tight for a very long time. I can't wait for my next session and cannot recommend him highly enough!" "OK - So I am lover massage and have had many different skilled body workers apply their hands on me (PS- I'm also a body worker ;) Getting to the point - Josh has worked on me several times and I feel comfortable to say he is in a league of his own and a master at his craft... incredibly sensitive and tuned in to the needs of my body, skilled in such ways he was able to access issues and pars of my body most could not, passionate to his craft in such ways that he went above and beyond to accommodate me when I was in pain and need, compassionate & loving in such a way he made me feel held and supported before during and after our sessions. I will recommend him without a trace of doubt... enjoy!" "I benefitted from Josh's skills after a serious injury and I continue to work with him today. I credit his work with being a major factor in the speed and completeness of my healing. Joshua is very skillful with a variety of techniques to draw on and I highly recommend him as an expert and caring practitioner. He is one of the most diligent students I know - always learning and studying to ensure that his clients get the best care possible and he speaks fluent Thai which gives him access to teachers and material that is in the original language." "Josh is an extraordinary masseuse. He takes his art seriously, and as a result is one of the most knowledgeable folks I know. A session with him is a deep experience and leaves one feeling completely aligned. His understanding of the body is masterful. On top of all that, he is one of the sweetest souls that I have ever met. I always look forward to when he is in town, and I would recommend him to anyone."